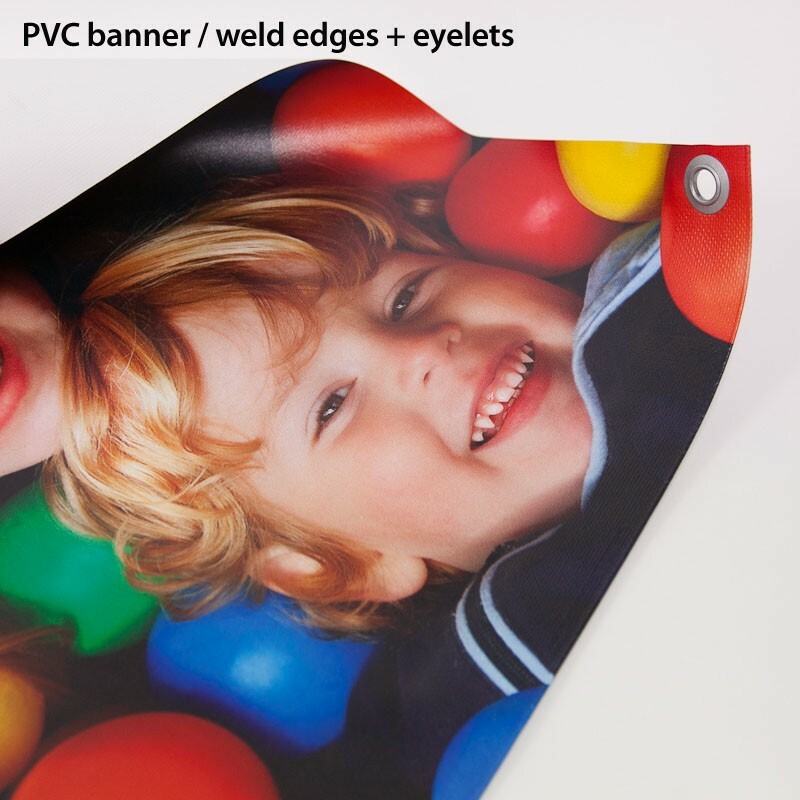 Our PVC banners are printed on strong 450gsm material - water-proof and UV proof. They are suitable for indoor and outdoor usage. 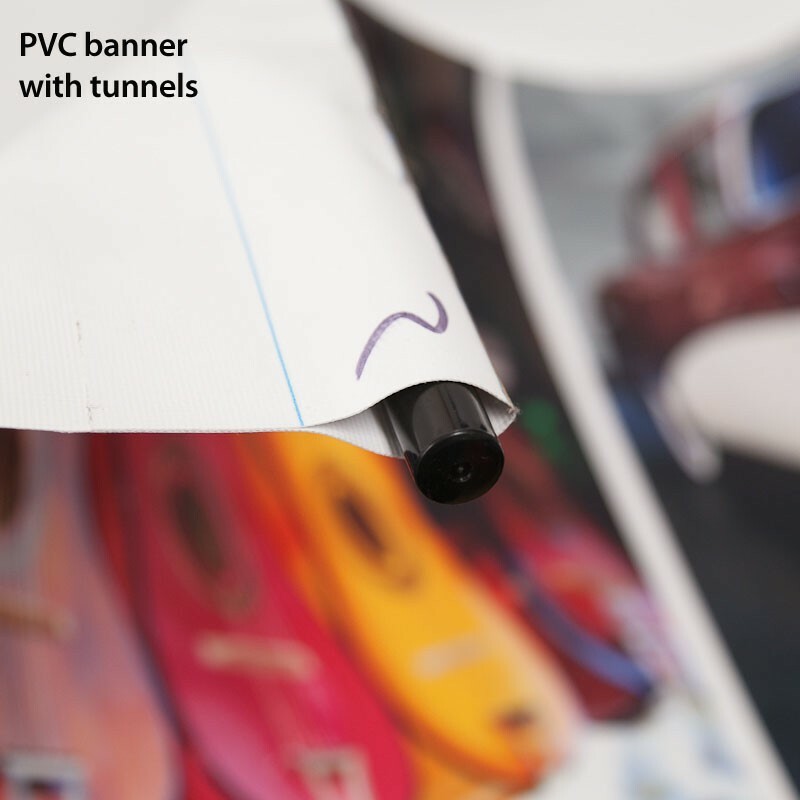 As a standard we offer weld edges and eyelets every 50cm, but there is a tunnel on the edges available as an option. The maximum size we can provide is 2.5 x 10.0 meters (in one piece-not weld). Make sure that the final file size is extended by 5mm on each side (bleed). Example: 1x1m banner should have exact size of 1010x1010mm. 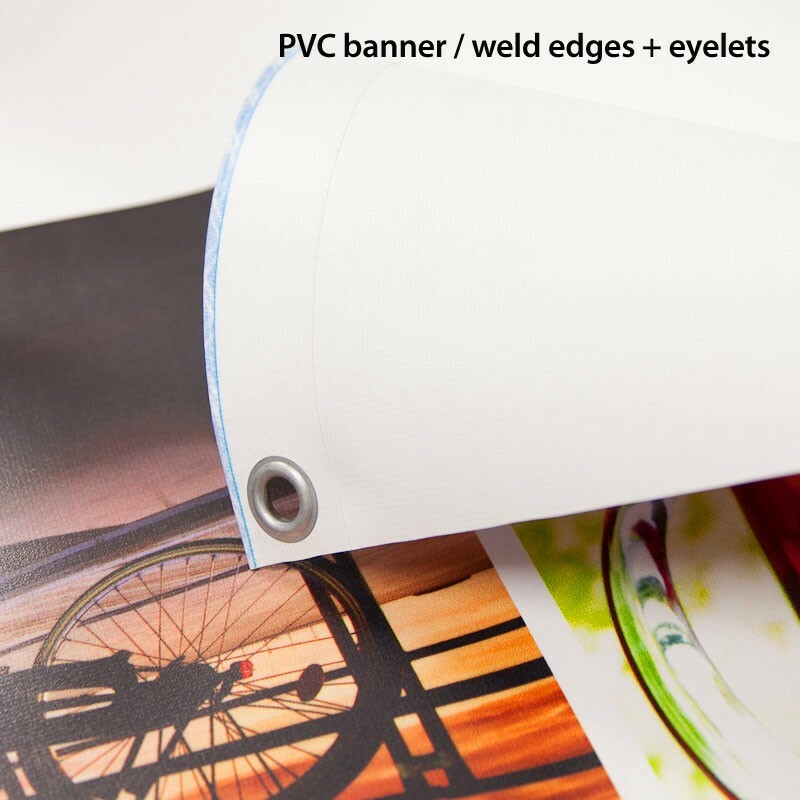 For images up to 1 square meter use high resolution images (200-300 dpi). For images between 1 and 5 sq.m. set up resolution of 150dpi. 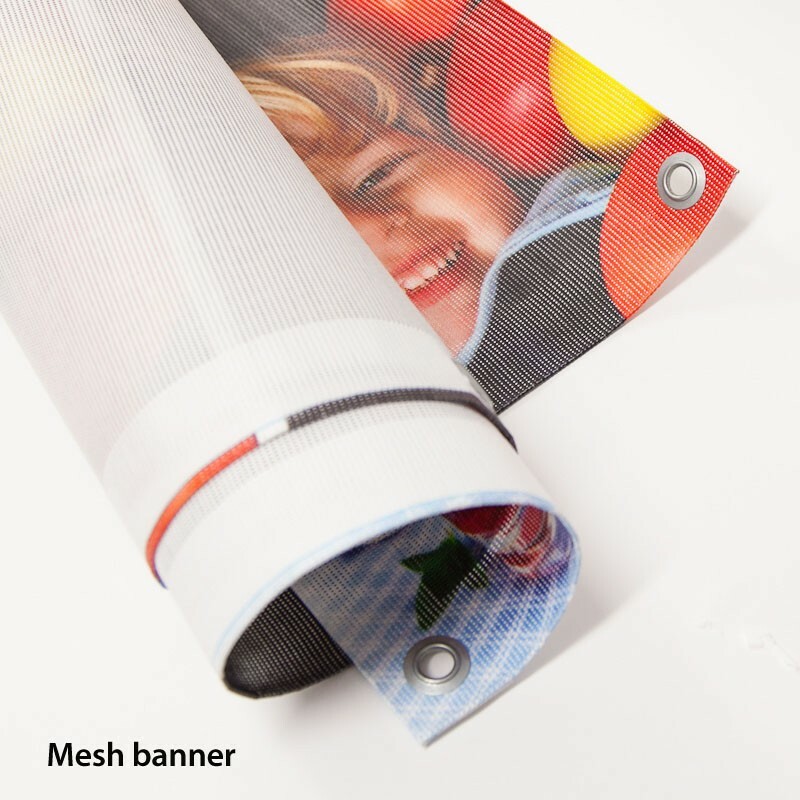 If printing banner viewed from large distance (5 meters or more), resolution of 30-90 dpi is sufficient. On checkout you can choose between collection from our London office (from Monday to Friday between 9:30am and 5:00pm), Royal Mail 1st Class (1-3 working days) shipping or next day courier, so you always get your PVC banner on-time.